One in eight women get breast cancer? According to the prominent and very active British cancer charity Cancer Research UK, breast cancer is on the rise. Women used to have a one in nine chance of developing breast cancer, but now it has gone up to one in eight. According to the charity's research, which is exclusively UK-based, breast cancer rates have risen 3.5 percent in the last decade, totaling 47,700 cases in Great Britain. Women between 50 and 69 years old have seen the steepest rise; six percent in the last 10 years. The same charity says that breast cancer is the most common form of cancer in women around a third of all cancer cases in female patients are breast cancer. A little short of half of all breast cancer cases involved women from 50 to 69 years of age, and one in three were over 70 years old. 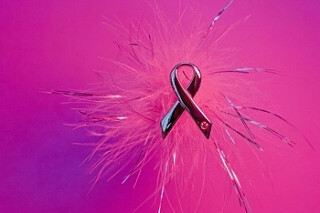 Cancer Research UK said that 19 percent of breast cancer cases were in women between 25 and 49 years old. The director of Cancer Research UK, Sara Hiom, said that lifestyle changes could reduce the risk of breast cancer in many women: "Cutting back on alcohol by keeping within government recommended limits of no more than 14 units a week (a small drink a day) helps. Taking more exercise and eating a diet high in fibre but low in saturated fat can help maintain a healthy weight - which in turn reduces breast cancer risk." SteadyHealth would also like to add that breastfeeding can reduce the risk of developing breast cancer. Doing regular self-examinations of the breasts, and having yearly mammograms, can help in getting an early diagnosis, thereby making treatment easier. Breast cancer is fairly well treatable, especially when caught in the early stages. Two thirds of women diagnosed with breast cancer survive for more than two decades after their diagnosis. Have children earlier, reduce your breast cancer risk? What is American cancer society?